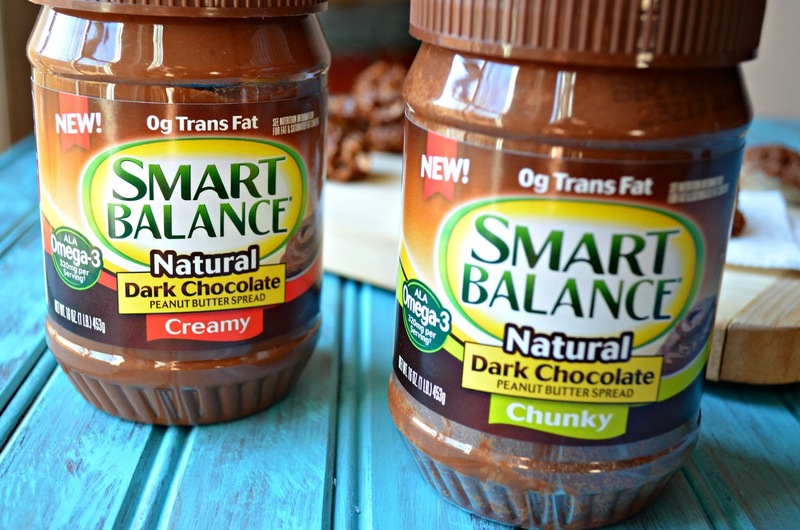 Smart Balance® has introduced this amaaaaazing new Natural Dark Chocolate Peanut Butter...in both creamy and crunchy spreads! They are made with rich peanut butter and real dark chocolate. The spreads are lactose-free, dairy-free, non-GMO and contain no hydrogenated oils or trans fats! Amazing, right? They are also sweetened naturally with dried cane syrup and molasses for a smooth, creamy texture, which makes them ideal for spreading, cooking or baking. Chocolate, peanut butter and all these other perks? What more could you ask for? 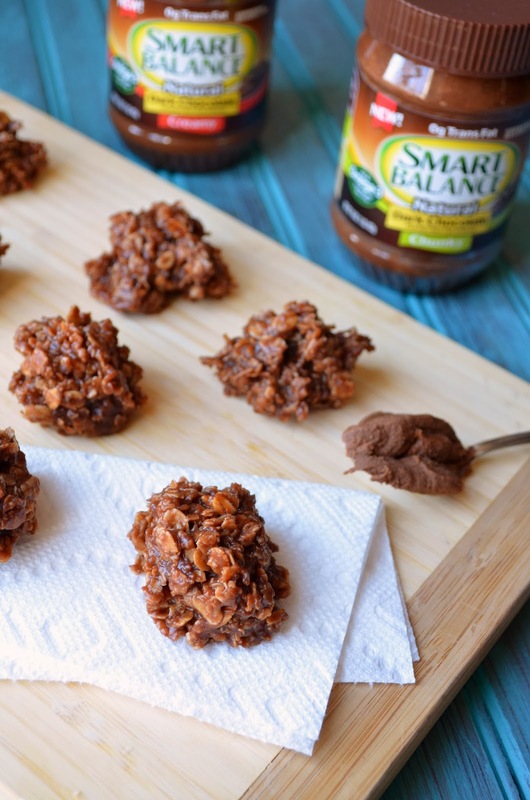 As a part of their new campaign, I was asked to make a healthy recipe using one of the Smart Balance® Dark Chocolate Peanut Butters that they graciously sent me samples of. 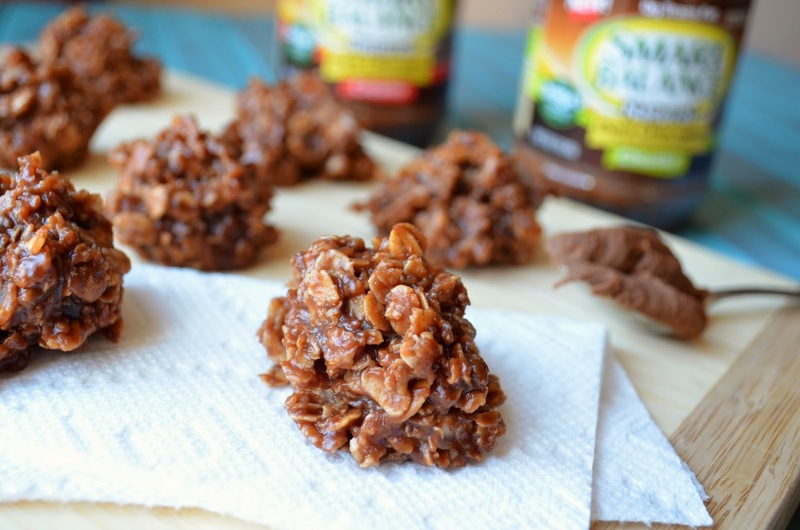 I decided to make these healthy no-bake cookies that are great on the go and provide a little pick-me-up in the middle of the day. The peanut butter and chocolate provide an instant surge of energy, while the applesauce, cane sugar and light butter make them healthy enough to not feel guilty about. Enjoy! Melt the butter over medium-low heat in a medium saucepan. Stir in the sugar and applesauce and mix until incorporated. Add the peanut butter. Heat and stir until melted and fully combined. Remove pan from the heat and stir in the oats. Line a baking sheet with parchment paper. Scoop heaping spoonfuls onto the sheet. Refrigerate for 30 minutes to 1 hour or until firm. Store at room temperature in an air-tight container.